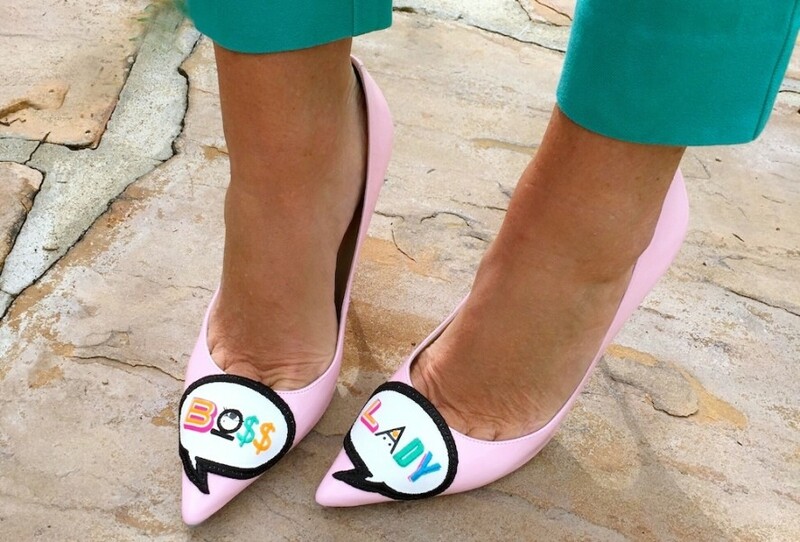 Ready to take on the world in Boss Lady pumps by Sophia Webster. 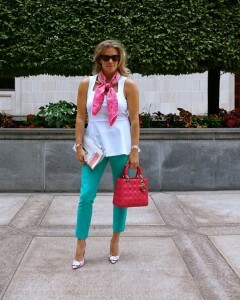 H&M textured peplum top in white, paired with Merona modern ankle pants from Target. I enjoy wearing scarves to work, this one pictured is “Magic Kelly” by Hermes. Accessories are Lady Dior medium bag in fuchsia, and Sophia Webster Boss Lady pumps in light pink patent. Many sizes still available from Saks Fifth Avenue. 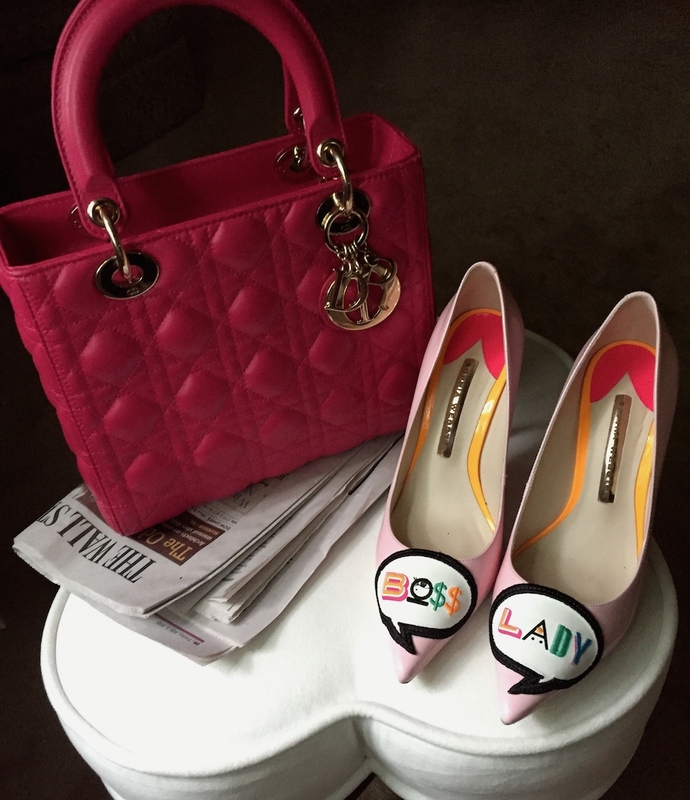 I find Sophia Webster runs true to size. Have a good Monday!